Spacious ground floor room with walk in shower. Comfortable twin room with great views. Spacious ground floor room with walk in shower. Twin or super king to be specified. Spacious room with walk in shower. Super king or twin. Please specify your preference. *Easter, Christmas and New Year deposits are refundable if cancelled 28 days before the arrival date minus £10 admin fee. Single room with en suite shower. Cancellation policy over Easter, Christmas and New year - full payment is taken 28days prior to arrival and is non refundable. Easter, Christmas and New Year deposits are refundable if cancelled 28 days before the arrival date minus £10 admin fee. Elegant sea view room en suite shower . Available as twin or super king. Please specify. Sea view room with ensuite. Super king or twin beds. Please state your preference. 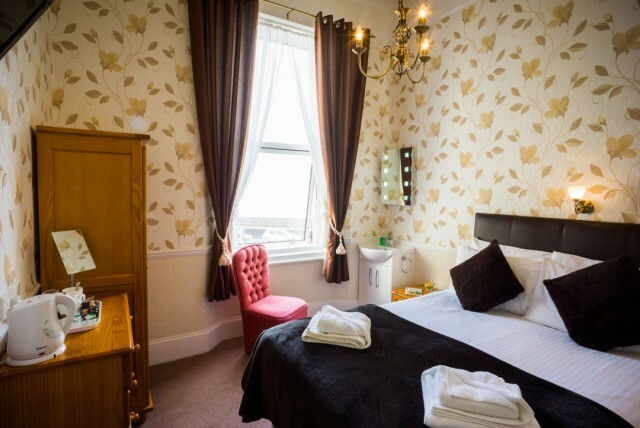 Comfortable double room with sea view.Private shower and toilet (not en suite). 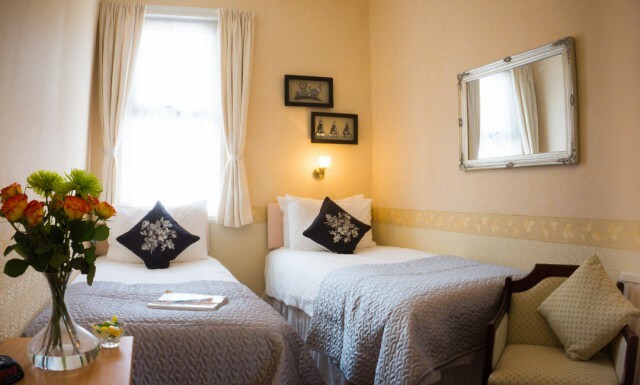 Sea view double room with basin. The shower and toilet are along the corridor. Private for this room only. Robes provided. Lovely room with sea view. Super king/ twin with en suite shower . Please specify when booking. 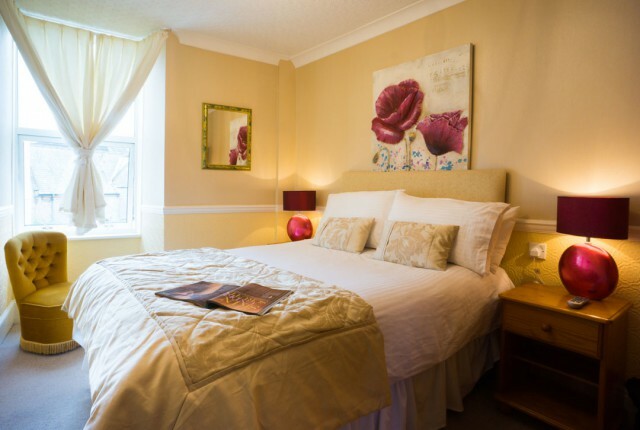 Comfortable super king or twin bed room with ensuite. Please state your preference. Super king / twin room en suite. 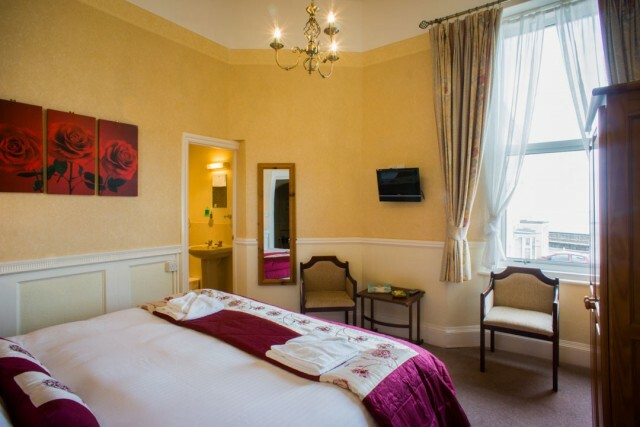 Comfortable room , either Super king or twin beds with en suite. Please state your preference. Spacious family room with en suite shower. One double and one single bed. Spacious family room with en suite shower. Available as double or double and 1 single/2 singles. 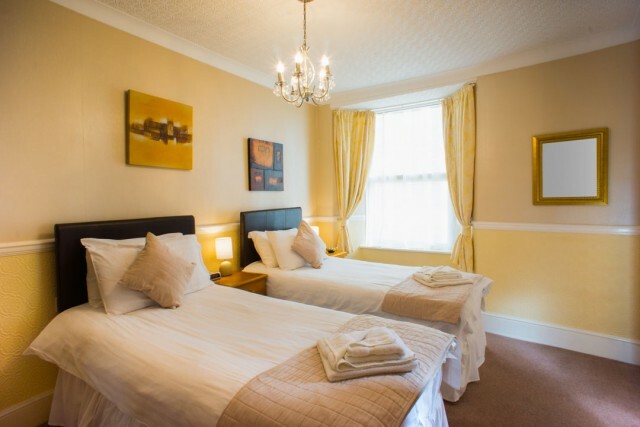 Large family room with a double bed and a single bed for two adults and a child. An extra bed can be added to accommodate another child- charges apply. Please contact the guest house directly. Large family room for double occupancy. Room has a double bed and a single bed with en suite. Standard double ensuite. The room is quiet and comfortable. Breakfast included. 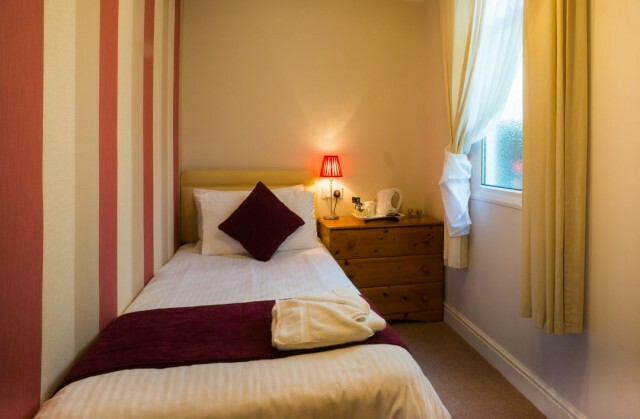 Cosy double room with small en suite shower. Suitable for single occupancy. Breakfast inluded. 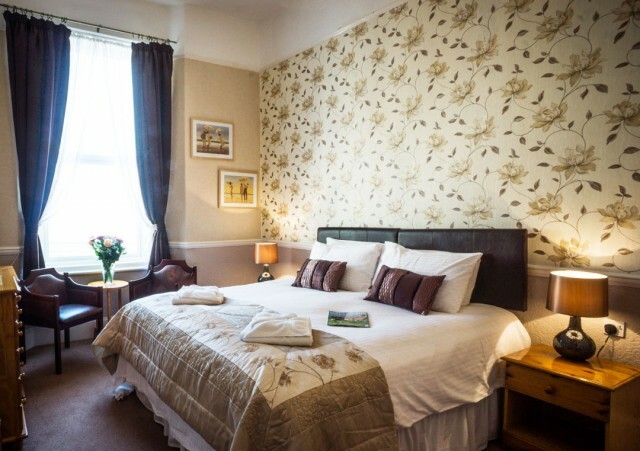 Comfortable double room for single occupancy. Th room has an en suite. Breakfast included. 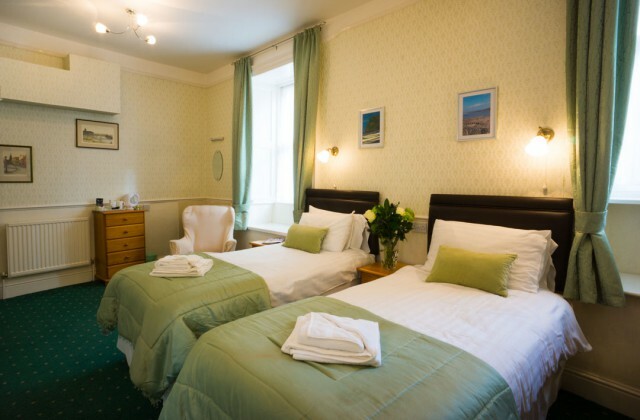 Comfortable twin room with en suite.Tea/coffee makers in all the rooms. All rooms have free high speed Wi-Fi access. Comfortable twin bed room with ensuite. Breakfast included. Quiet room.